The Painted Rogue has been gadding about in the desert, and as such has had to give some serious thought to the best travel skincare for parched skin - wouldn't want to end up like one of the mummified undead, now, would we? Carrie from eyeliner on a cat gives us her list of 5 Problem-Solving Skin Care Products You Need Right Now...and they're all under $40! Looking for your perfect eye cream? 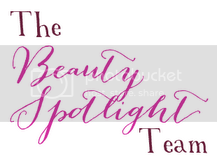 Pammy Blogs Beauty shares her Top 10 Eye Creams as part of the collaborative Top 10 Tuesdays blog series. Sunny from Mostly Sunny had a real déjà vu moment when she sprayed Jo Malone's latest limited edition creation, Silk Blossom Cologne, on herself. The fruity/floral/mossy scent reminds her so much of her beloved (and discontinued) Miss Dior Chérie! Want to know how to fake great skin? Check out Phyrra's Current Complexion Routine! Prime Beauty pumps up the volume (or lack there of) of her fine tresses with the new Kérastase line of Couture Styling Products. See the before and after pics! If creamy-dreamy powder blushes with superior texture and pigmentation are your thing, and if you have a penchant for pink blush-- then Lola's Secret Beauty Blog highly recommends Surratt Artistique Blush in Guimauve! It's the game-changer that you have been waiting for! It was discovery time at Beauty Info Zone when Marcia uncovered Josie Maran's Coconut Water Eyeshadow among the other treasures at Sephora. Pale beauties have to stick together! Jessika from polish insomniac shares with us The Best Bronzers for Pale Skin. Dislike limited edition collections? Perilously Pale shares the fabulous L'Oreal Collection Exclusive Nudes that L'Oreal has brought back due to popular demand. All of us can use a refresher. Join 15 Minute Beauty to read Makeup 101. Face products, color makeup and application order are all covered.